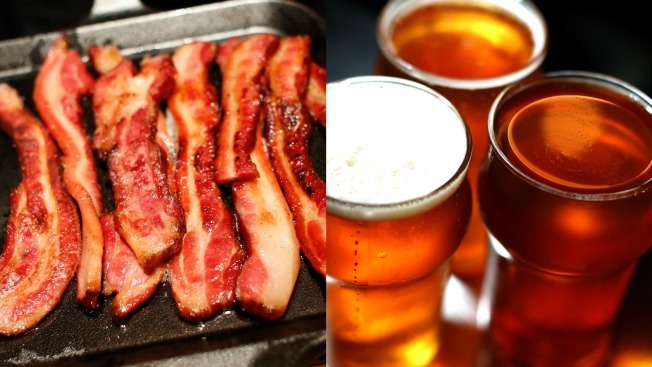 File image of bacon and beer. If the smell of bacon and the taste of craft beer ignite your senses, an upcoming event in Santa Clara may just be what you need. Tickets are on sale now for the Bacon and Beer Classic, a food and drink extravaganza that dishes out exactly what it advertises: bacon and beer. The event is scheduled to take place on February 25 at Levi's Stadium in Santa Clara. For $69, attendees will be treated to an unlimited amount of bacon dishes and a plethora of craft brews. Other ticket offers include the opportunity to enter the stadium even earlier to score the delectable treats or soak in VIP treatment. Live entertainment, giant board games and a bacon eating contest are just a few of the other activities that will be on full display.